Finally I can talk about this book!! I was so excited to be approved to read this book early and I have been waiting to share my review ever since. 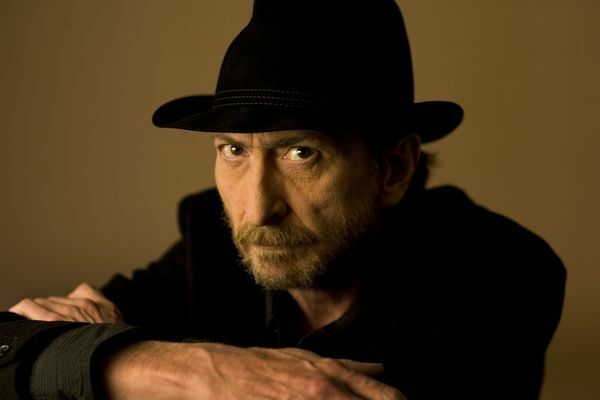 I am a huge Batman and DC fan (well all comics really) and Frank Miller is one of the all time greats. 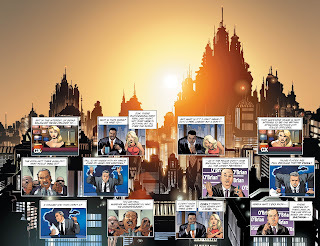 It's been three years since the Batman defeated Lex Luthor and saved the world from tyranny, Three years since anyone has seen Gotham City's guardian alive. Wonder Woman, Queen of the Amazons...Hal Jordan, the Green Lantern...Superman, the Man of Steel...all of the Dark Knight's allies have retreated from the front lines of the war against injustice. But now a new war is beginning. An army of unimaginable power led by Superman's own daughter is preparing to claim Earth as it's new world. Batman - the only hero that can stop this master race - is dead. I'll start with the cover, I think the stark contrast between the black and white and the simplicity of the picture is extremely striking and eye-catching. I could quite happily look at it all day and it will be a beautiful addition to anyone's collection. To continue with the art, it's all outstanding the whole book through and the different styles of the artists are very distinctive. There's one page with Diana (Wonder Woman) fighting a minotaur and it is one of the most stunning pages I have ever seen. I've been back to look at that page more than once since my first read through of the book. The story is masterfully written. Between the art and the dialogue it's a perfect match. There was twice where I actually choked up, there was so much emotion on the pages. I loved the different big bad and how it was used in almost a mirror as to a lot of what is going on in real life. 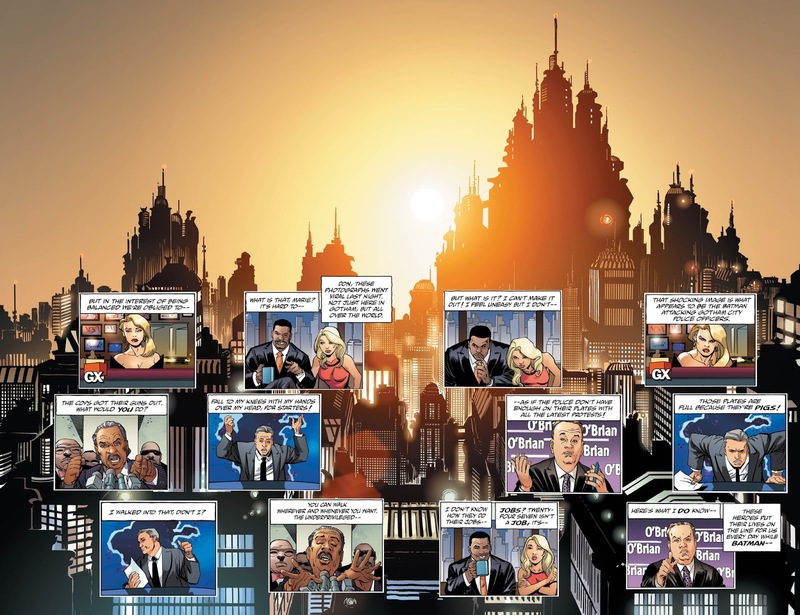 The panels with tweets, texts and news broadcasts were genius and added to the real life feel I got from the story. I loved the cast of characters used in Master Race, it was really good to see Atom and Hawkman and Hawkgirl, though even in passing. It was also really good for the spotlight to be on Carrie Kelley and to see her growth and maturity over the whole story. It was interesting to see Lara used in the way she was and her relationship with her mum and dad. I even loved the darker and more sinister Hal Jordan and the journey he had to go on alone to find himself again. 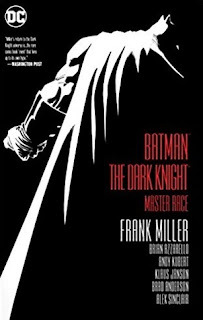 I can't very well review The Dark Knight without mentioning the Dark Knight himself. I thought the depiction of old and broken Bruce going on a kind of last quest to rid the world from this new and dreadful evil was brilliant. He was grumpy, he was snarky and he had some amazing speeches and one liners. I will always love Batman, old or young and this version I thought was great. I may have gushed more than usual in this review, but overall I think this is an outstanding collection and one I will most certainly be revisiting again in the future. 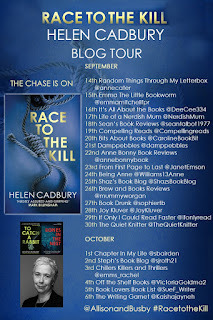 Today on Life Of A Nerdish Mum I am absolutely honoured to be part of the blog tour for Race To Kill by Helen Cadbury. 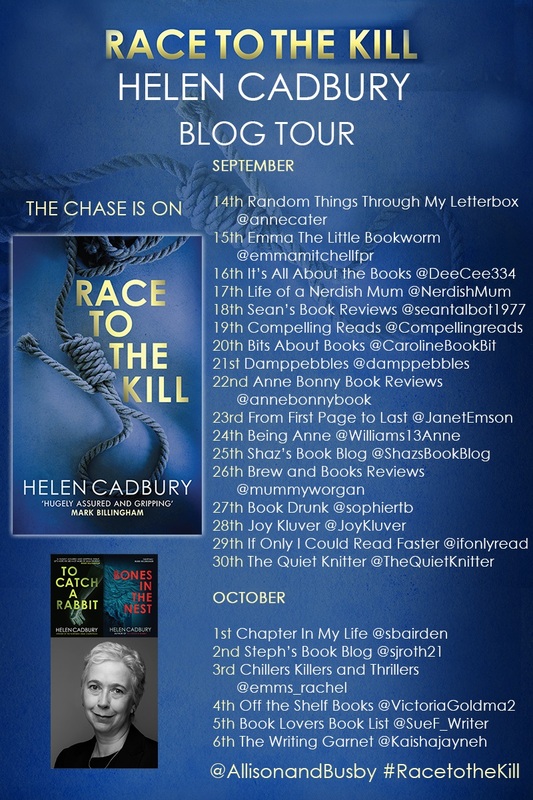 Helen sadly passed away in June 2017 and this is her final book. She was a fabulous author and by all accounts a wonderful person too. It is the middle of a long night shift for PC Sean Denton and his partner PC Gavin Wentworth when they are approached by a dishevelled-looking woman desperate that they follow her. She leads them to the old Chasebridge High School where they find the dead body of a Syrian refugee. The investigation which points to the neighbouring greyhound stadium finds Denton caught up in a world of immigration, drugs and sexual abuse, and one in which his private life becomes increasingly entwined. Race To The Kill gripped me right from the first page. I was instantly drawn in and I wanted to know what had happened. The writing in this book is absolutely fabulous, I've never visited Doncaster, but I really got a feel of the place and felt like I'd actually visited instead of just read about it. I thought the characters were all excellent. 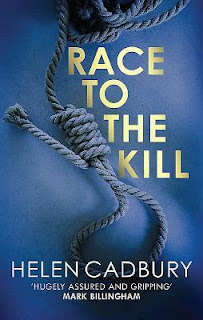 Though this is the third book in the Sean Denton series, there is still character development and though previous cases are mentioned, this could easily be read as a stand alone novel. (Though obviously they are all excellent so you should really read all of them). Sean, the main character is really well balanced and is very human. I'm really fond of him and he's definitely someone I would get on with in real life. I loved the snippets of information that we get to know about Khan and Knowles and I think they're both really interesting characters. The story is incredibly plotted out and for the first time in a long while, I had an AHA moment and actually commented out loud. It's really clever. I also enjoyed how there was more than one story going on, but not too much that would detract from the main action or enough so you could get confused. I absolutely loved this book and I really didn't want to put it down and I didn't want it to end. I was sad several times throughout the book as I came across parts that I thought "OOh I can't wait to see how that pans out" and then realised that I'll never know as this is the last book. The book community has lost one of its greats. 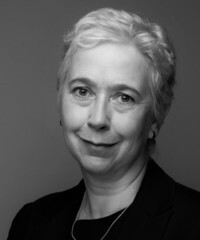 Helen Cadbury wrote fiction, poetry and plays. She worked as an actor before becoming a teacher. She divided her time between writing, teaching in a women’s prison and delivering training in youth arts. She had an MA in Writing from Sheffield Hallam University. Helen grew up in Birmingham and Oldham. After living in London for many years, she moved north and settled in York, where she lived with her family. Helen Passed away in June 2017. 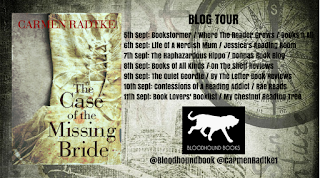 I'm very happy to be taking part in the blog tour for the fabulous The Case Of The Missing Bride by Carmen Radtke. When a girl goes missing on board of an ocean liner, only one person is convinced that the disappearance is no accident. Alyssa has found herself with a group of impoverished girls who are embarking from Australia to Canada in the hope of marriage. As the daughter of a senior official, Alyssa doesn’t share this goal. She hopes to return to England via Canada. But the girls all share one problem. Their presence on the ship is not know to many of its passengers but their worlds collide when one of the gentlemen discovers them. 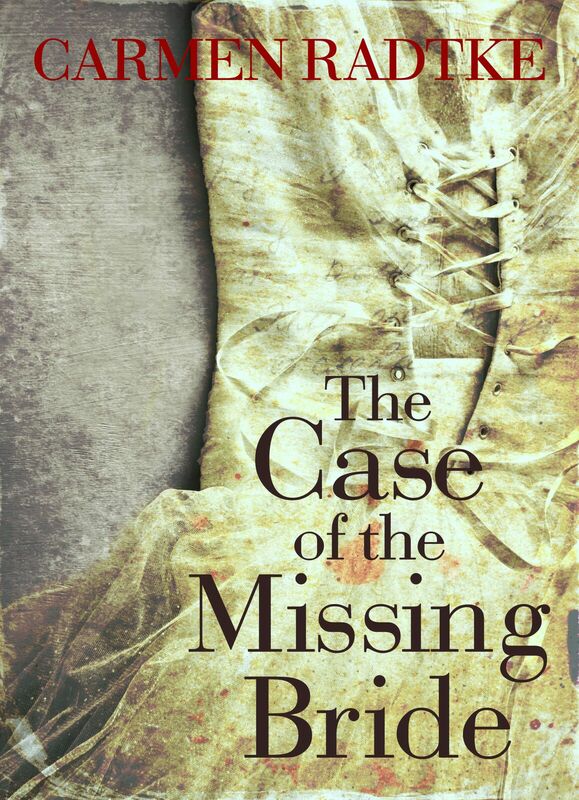 Then Emma, one of the intended brides, goes missing. Alyssa is convinced the disappearance is no accident, and will risk her own life to search for the killer. What happened to Emma? Is there a murderer on board the ship? Alyssa is about to discover that there is more to her voyage than she bargained for. Historical fiction is a relatively new genre for me and I have been loving delving into it and trying out different themes and authors. 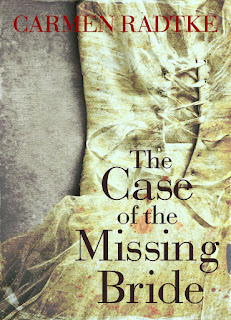 The Case of The Missing Bride is a historical fiction crime novel and it was absolutely wonderful. I was blown away by the writing in this book and I thought the language was eloquent and beautiful. I thought there was enough description without overwhelming as to dress and world and I was sucked into the atmospheric feeling aboard the Artemis' Delight, I could feel the movement of the boat and the almost claustrophobic feeling of being alone with a group of strangers in the middle of the ocean. Alyssa is a really well rounded character and I really enjoyed joining her on her journey and trying to solve the mystery regardless of her own safety. Her upper class breeding really came through in comparison to the other girls, though she was kind and really cared for her temporary charges. There were little things throughout that she did to make the other girls lives slightly easier or better that really endeared her to both the characters and to me as the reader. I can't go too much into the story as it's a mystery and I certainly don't want to spoil anything, but it is extremely well written and well plotted out. I was kept enthralled and was on the edge of my seat at different points. Overall an excellent book and one I'm extremely glad to have discovered and read through Bloodhound books. I've been looking forward to this blog tour for a while and I'm happy to be finally sharing my review of Dan Knew by F J Curlew as part of the blog tour. A Ukrainian street dog is rescued from certain death by an expat family. As he travels to new countries with them a darkness grows and he finds himself narrating more than just his story. More than a dog story. Ultimately it's a story of escape and survival but maybe not his. The world through Wee Dan's eyes is told in a voice that will stay with you long after you turn that last page. The animals in this book are all real, as are their stories. The people's names have been changed to protect their privacy. Fact or fiction? Well, dogs can't talk, can they? Oh boy, this book! This book tore my heart out and made me fall in love all within 331 pages. I warn you that you will need tissues both for tears of laughter and sorrow. 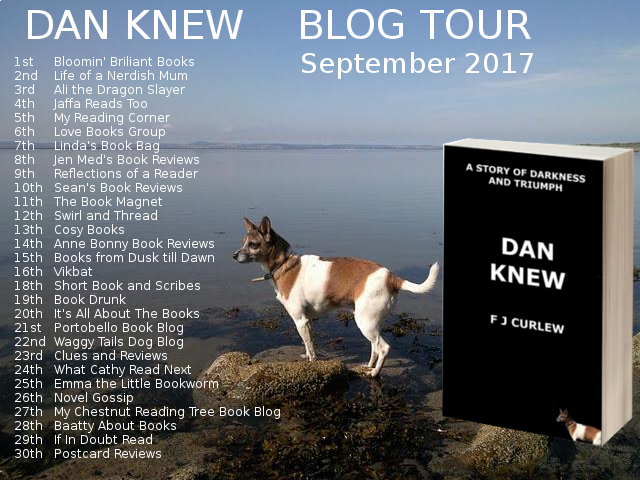 I was so naive going into Dan Knew, I was aware that it was a book from the perspective of a dog, but I tend not to read the synopsis just before reading a book as I like to try and go in knowing as little as possible. What I didn't know was that this was a book that not only looked at life and the world through the eyes of a different species, but also took a look at how complicated and heartbreaking life is. The writing is very well done and though it is through the eyes of a dog, it's very easy to read and it's interesting to see how F J Curlow has imagined (or did Dan really talk) that Dan saw and understood the world. I was sucked in from the first page and I had to drag myself away when it was time to put the book down as I became so invested in the lives of Dan and his family, both human and canine alike. Each character is captured beautifully and I've come away feeling like I really knew each and every one of them. 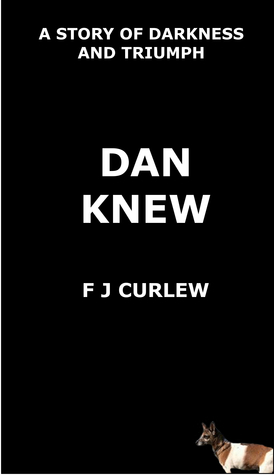 I thoroughly enjoyed Dan Knew and I recommend this to absolutely everyone! As soon as she graduated she packed everything she owned into her Renault 11, including her daughter, two dogs and a cat, and headed off to Estonia to become an international school teacher. After fifteen years of teaching, predominantly in Eastern Europe, she returned to the UK . 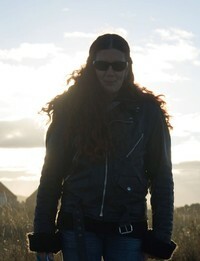 She now lives on the east coast of Scotland with two Scottish rescue dogs and a disgruntled Portuguese cat. 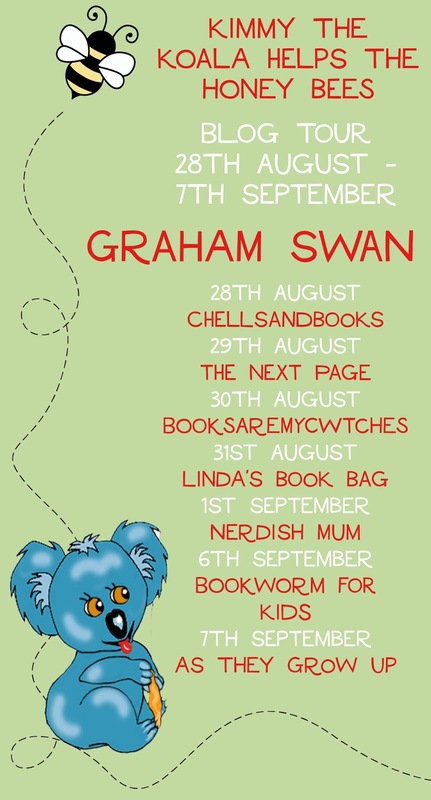 After a busy summer holiday, Life Of A Nerdish Mum is back today with a vengeance and I'm starting off on the blog tour for Kimmy The Koala Helps The Honey Bees by Graham Swan. 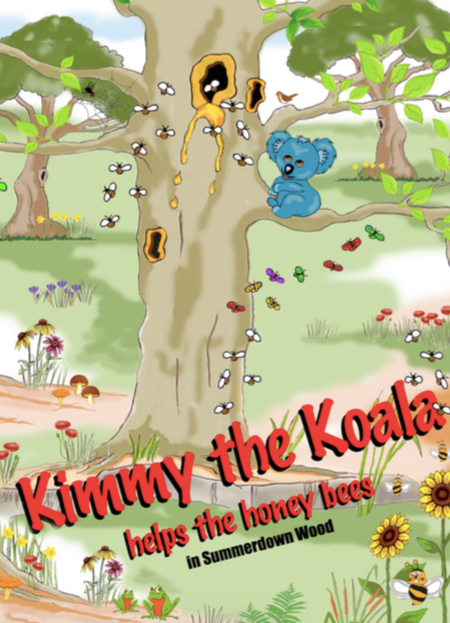 This is the story of Kimmy the Koala helping the honey bees in Summertown Wood. Kimmy The Koala is a very topical children's book and deals in simple terms about how we can help bees to keep producing honey and pollinating flowers in the future. It also covers briefly how bees make honey. 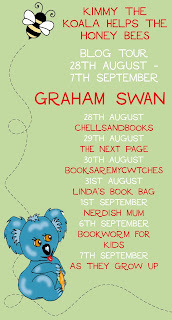 I like books for children that have some educational purposes and that cover important topics at a relevant level, so Kimmy The Koala certainly ticked those boxes for me. I thought the map was a really nice touch and it would help children picture where everything was and it could also be used as a learning tool to ask children questions after the story had been finished. The only minor criticism I have as an adult, is that the art style was not my cup of tea. It's certainly not bad and it's bright and eye catching, it's just not in a style that I favour. Overall a really fun book that covers an important topic and one that could lead to more learning and fun outdoors to plant your own flowers to help the bees do their jobs.